Prurient is the performing name of Ian Dominick Fernow. He has released material on numerous independent record labels, such as American Tapes, Hanson Records, RRRecords, Load Records, Troubleman Unlimited, Chrondritic Sound, Kitty Play Records, and his own label Hospital Productions. 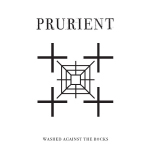 Since the 2000s, Prurient has become one of the most well-known and influential names in noise music, and has been covered in outlets such as The New Yorker, Pitchfork Media and The Village Voice.